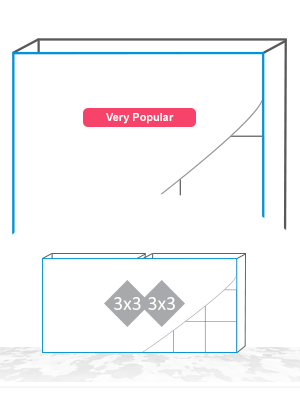 3x3 Pop Up 89" x 89"
Printed Banner to suit pop up Easy Expo expand frame and common 3x3 sizes. Sale. You save $299.11 ea. Banner Only with Printing. Anti-Glare Surface. The interchangeable banner is printed one side and completed with Hook n Loop (Loop) for easy swap over. 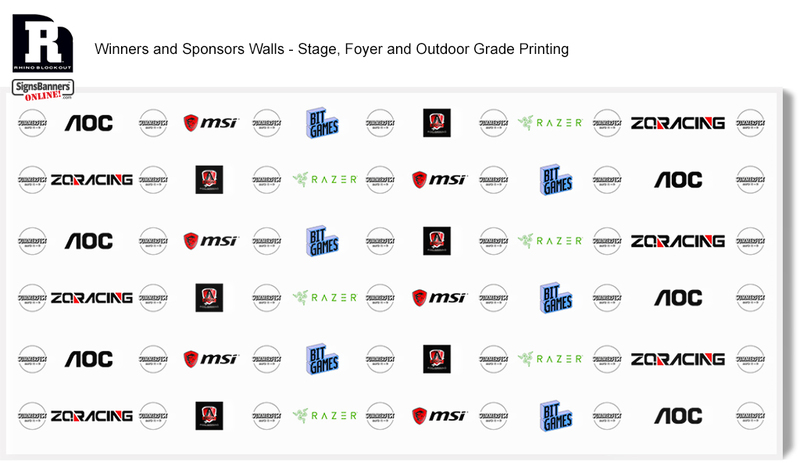 You can upload to print Step n Repeat design or Full Color graphics. 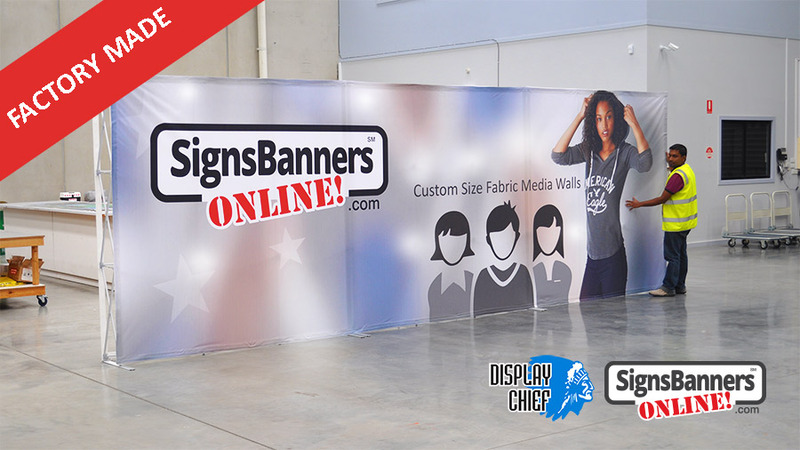 Details: Pop Up Media Walls banners are 16oz printed semi-blockout poly fabric Display Chief with genuine UV fade resistant ink. Photo quality printing suitable for displaying step n repeat logos and high quality graphic scenes. Landscape: This product is manufactured horizontally with Hook n Loop -Loop to affix to frame. 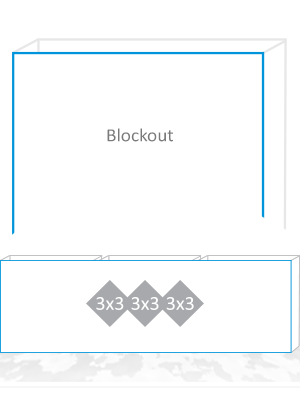 How to setup the printing file and upload: Do-It-Yourself: Use this manufacturing template for the POPUP BANNER and overlay your creative. Add to Cart, then Upload matched to the line item ready for printing, View and check each Instant Preview, Pay and Approve. You'll recieve a special web link and email. Then, watch as your order moves around the factory and to your door. 3x3 Popup 89" x 89"
Includes ONE frame & Printed 3x3 Banner to suit pop up Easy Expo expand frames. Sale. You save $520.83 ea. Expandable Frame & Banner with Printing. Anti-Glare Surface. The interchangeable banner is printed one side and completed with Hook n Loop (Loop) for easy swap over. You can upload to print Step n Repeat design or Full Color graphics. 3x3 Popup 12"+89"+12" x 89"
3x3 Banner printed Left Wing, Main Front and Right Wing as a 'continuous winged wrap around'. Sale. You save $339.90 ea. Includes Frame & Banner printed Left Wing, Main Front and Right Wing as a 'continuous winged wrap around'. Sale. You save $541.50 ea. 3x3 Popup 12"+89"+12"+88" x 89"
3x3 Banner printed Left Wing, Main Front, Right Wing and Main Rear as a 'continuous full wrap around'. Sale. You save $448.80 ea. Banner only with Printing. Anti-Glare Surface. The interchangeable banner is printed Left Wing, Main Front, Right Wing and Main Rear as single 'wrap around' piece and completed with Hook n Loop (Loop) for easy swap over. You can upload to print Step n Repeat design or Full Color graphics. Includes Frame & Banner printed Left Wing, Main Front and Right Wing as a 'continuous full wrap around'. Sale. You save $651.17 ea. Expandable Frame & Banner with Printing. Anti-Glare Surface. The interchangeable banner is printed Left Wing, Main Front, Right Wing and Main Rear as single 'wrap around' piece and completed with Hook n Loop (Loop) for easy swap over. You can upload to print Step n Repeat design or Full Color graphics. 6x3 Popup 178" x 89"
Printed Banner to suit pop up Easy Expo expand frame and common 6x3 sizes. Sale. You save $425.00 ea. Includes TWO frames & Printed 6x3 Banner to suit pop up Easy Expo expand frames. Sale. You save $839.00 ea. Expandable Frames & Banner with Printing. Anti-Glare Surface. The interchangeable banner is printed one side and completed with Hook n Loop (Loop) for easy swap over. 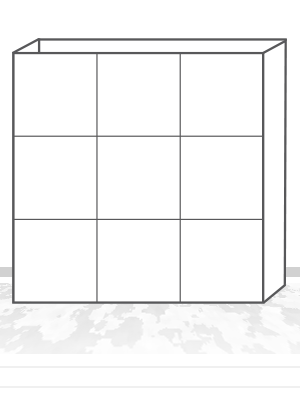 You can upload to print Step n Repeat design or Full Color graphics. 6x3 Popup 12"+178"+12" x 89"
6x3 Banner printed Left Wing, Main Front, Right Wing and Main Rear as a 'continuous winged wrap around'. Sale. You save $469.33 ea. Includes TWO frames & 6x3 Banner printed Left Wing, Main Front and Right Wing as a 'continuous winged wrap around'. Sale. You save $883.33 ea. 9x3 Popup 268" x 89"
Printed Banner to suit pop up Easy Expo expand frame and common 9x3 sizes. Sale. You save $538.67 ea. Includes THREE frames & Printed 9x3 Banner to suit pop up Easy Expo expand frames. Sale. You save $1,157.33 ea. 9x3 Popup 12"+268"+12" x 89"
9x3 Banner printed Left Wing, Main Front, Right Wing and Main Rear as a 'continuous winged wrap around'. Sale. You save $566.67 ea. Includes THREE frames & 9x3 Banner printed Left Wing, Main Front and Right Wing as a 'continuous winged wrap around'. Sale. You save $1,186.67 ea. Sale. You save $60.00 ea. Frame Only. 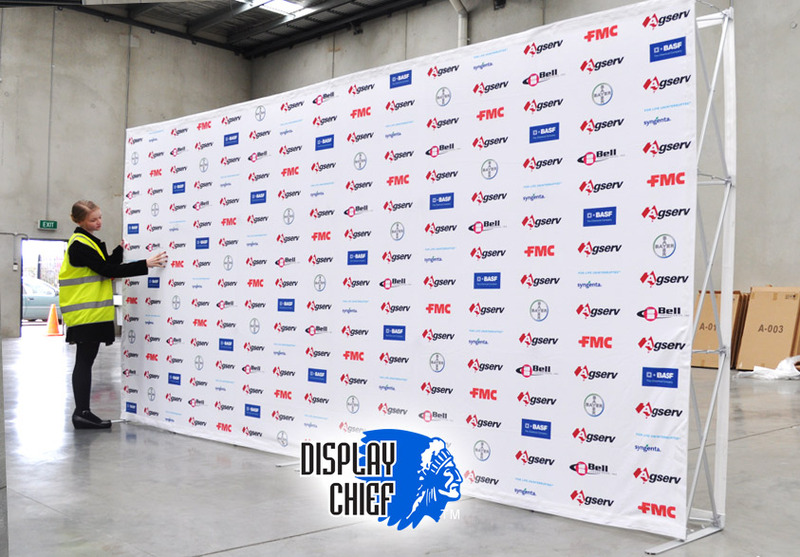 Use for Pop Up Media Walls & red carpet events. 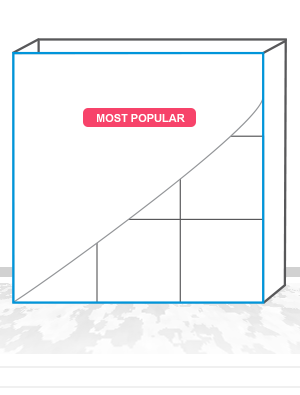 Purchase individual unit(s) to achieve longer banner spans. Frame gap 1'' between each unit if you combine multiple units to achieve longer banner spans. 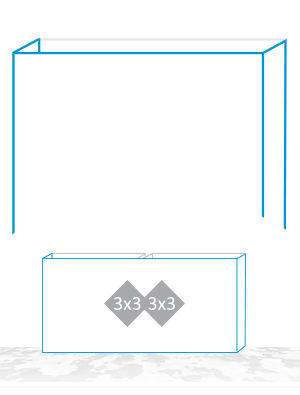 Details: Easy Expo expand frames are (XFRAMED) expand joints via Anodised ½" tube with join locks so that you can open and close the frame. Comes with Hook n Loop - HOOK fitted to the perimeter. (Banners are supplied with Hook n Loop - LOOP). Purchasing multiples: Recommended gap between frames 1" . 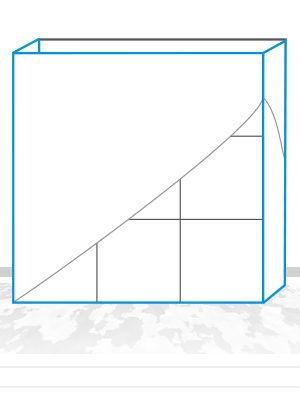 All SBO templates and measurements for 6x3, 9x3 or larger allow for this frame gap frame measurement. Sale. You save $270.53 ea. 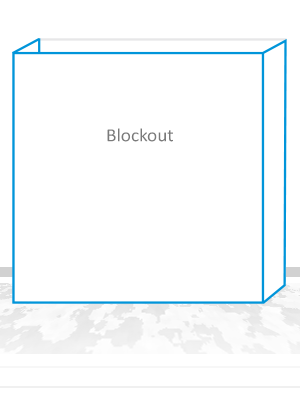 Blockout Banner Only with Printing. OUTDOOR Sunlight does not pass through. The interchangeable banner is printed one side and completed with Hook n Loop (Loop) for easy swap over. You can upload to print Step n Repeat design or Full Color graphics. Details: OUTDOOR Sunlight does not pass through. Banners are 16oz printed Rhino Blockout poly fabric semi-matte with genuine UV fade resistant ink. Photo quality printing suitable for displaying step n repeat logos and high quality graphic scenes. How to setup the printing file and upload: Do-It-Yourself: Use this manufacturing template for the POP UP Media Wall and overlay your creative. 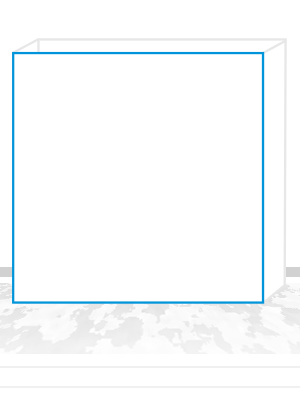 Add to Cart, then Upload matched to the line item ready for printing, View and check each Instant Preview, Pay and Approve. You'll recieve a special web link and email. Then, watch as your order moves around the factory and to your door. Sale. You save $463.33 ea. 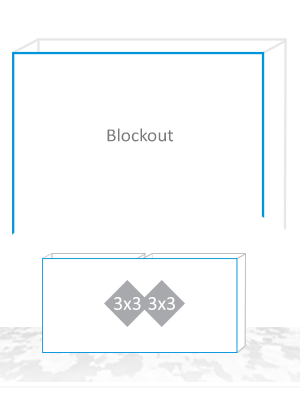 Expandable Frames & Blockout Banner with Printing. OUTDOOR sunlight does not pass through. The interchangeable banner is printed one side and completed with Hook n Loop (Loop) for easy swap over. You can upload to print Step n Repeat design or Full Color graphics. Sale. You save $306.00 ea. 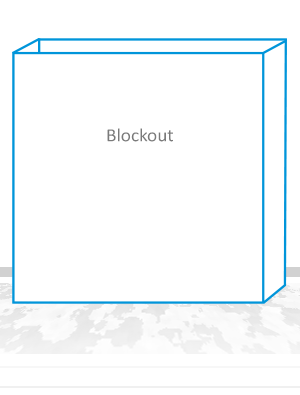 Blockout Banner with Printing. OUTDOOR sunlight will not pass through. The interchangeable banner is printed Left Wing, Main Front and Right Wing as single 'wrap around' piece and completed with Hook n Loop (Loop) for easy swap over. You can upload to print Step n Repeat design or Full Color graphics. Sale. You save $481.30 ea. 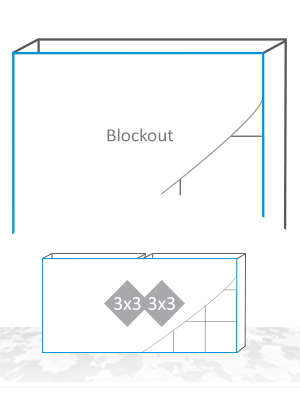 Expandable Frames & Blockout Banner with Printing. OUTDOOR sunlight will not pass through. The interchangeable banner is printed Left Wing, Main Front and Right Wing as single 'wrap around' piece and completed with Hook n Loop (Loop) for easy swap over. You can upload to print Step n Repeat design or Full Color graphics. Sale. You save $400.67 ea. 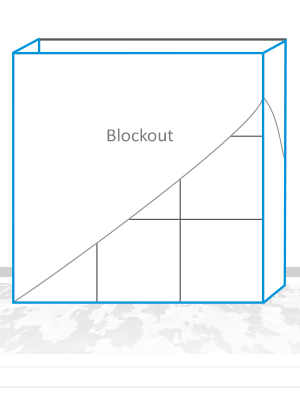 Blockout Banner with Printing. OUTDOOR sunlight will not pass through. The interchangeable banner is printed Left Wing, Main Front, Right Wing and Main Rear as single 'wrap around' piece and completed with Hook n Loop (Loop) for easy swap over. You can upload to print Step n Repeat design or Full Color graphics. Sale. You save $576.67 ea. Expandable Frames & Blockout Banner with Printing. OUTDOOR sunlight will not pass through. The interchangeable banner is printed Left Wing, Main Front, Right Wing and Main Rear as single 'wrap around' piece and completed with Hook n Loop (Loop) for easy swap over. You can upload to print Step n Repeat design or Full Color graphics. Sale. You save $380.00 ea. 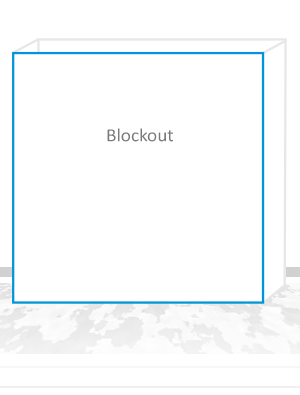 Blockout Banner with Printing. OUTDOOR sunlight does not pass through. The interchangeable banner is printed one side and completed with Hook n Loop (Loop) for easy swap over. You can upload to print Step n Repeat design or Full Color graphics. Sale. You save $740.00 ea. Sale. You save $418.67 ea. Sale. You save $778.67 ea. Sale. You save $478.67 ea. Sale. You save $1,016.67 ea. 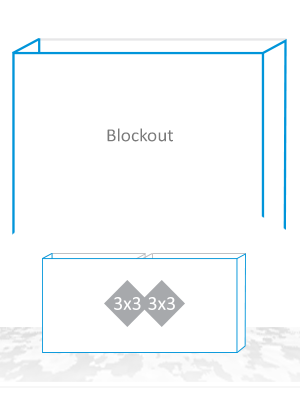 Expandable Frames & Blockout Banner with Printing. Sunlight does not pass through. The interchangeable banner is printed one side and completed with Hook n Loop (Loop) for easy swap over. You can upload to print Step n Repeat design or Full Color graphics. Sale. You save $503.33 ea. Sale. You save $1,042.67 ea. 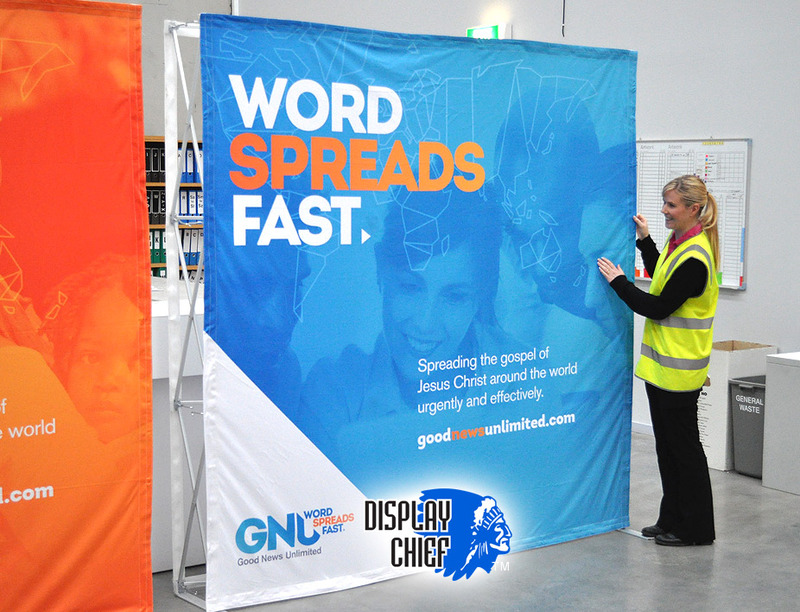 Signs Banners Online proudly supply the Easy Expo range of pop up systems. Strong aluminium and extruded parts, well fitted and suited for expand frames. Factory direct product. 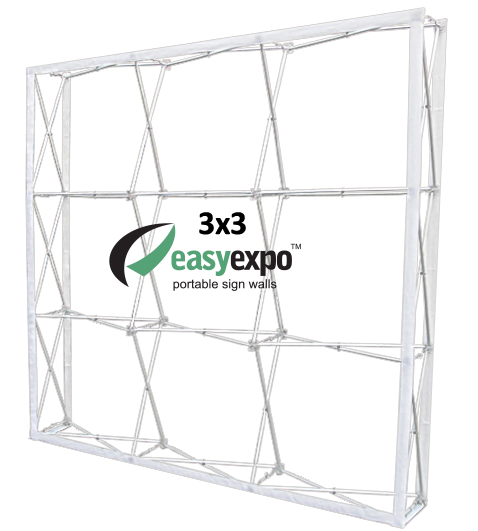 The Easy Expo frame systems extends. Finger Snaps keep the frame taut. No tools required. Graphic - Attaches with Hook n Loop for swap over graphics. Easy! 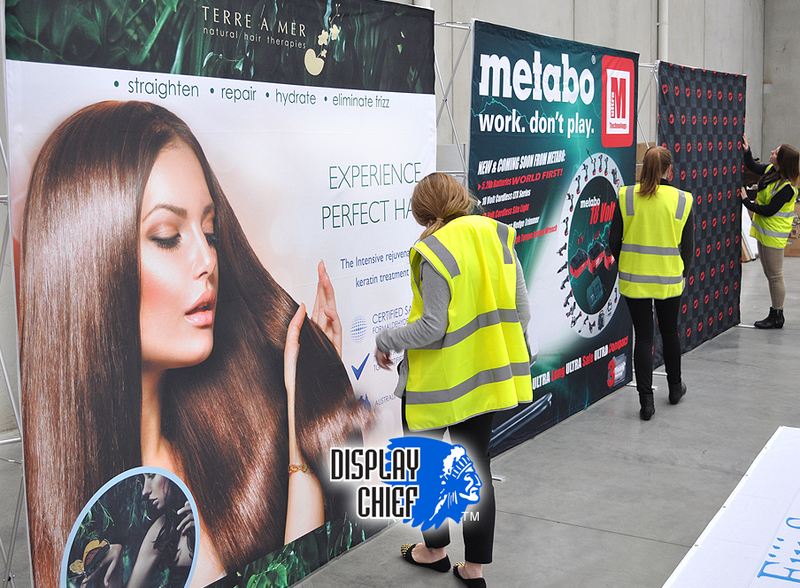 Now many customers use our factory services to supply print graphics on behalf of their expo, business promo, event management and sponsorship days. The printing of full color imagery, logo printing and theme printing is at your fingertips... Download a free manufacturing template, overlay your graphics and re-upload into the printing queue. 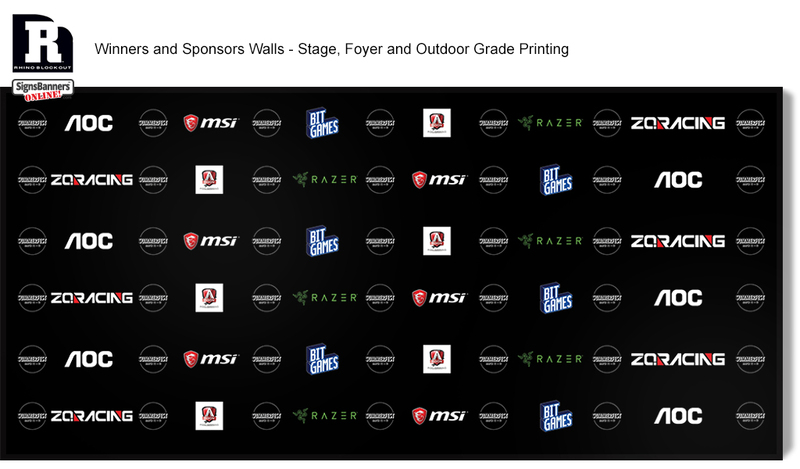 Step n Repeat, solid color, green screen or full color graphics - you can upload to print. Using Rhino Blockout eliminates any rear lighting shadows. It is an excellent stock media for logo walls. Use for expo stand, exhibition and foyer graphics, promotional events and more. 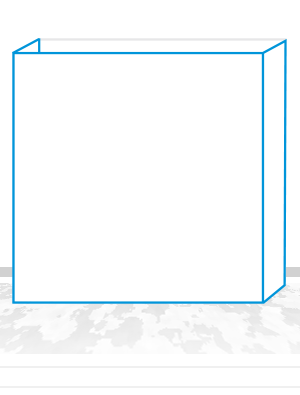 You can upload to print your creative, the design applications are unlimited. † Hardware is available individually or with printing graphic as packaged deal. "Probably the best order I have ever been supplied." "Thank you, Awarded 5 Star Rating"